Precision agriculture calls for continuous land management at a competitive cost. 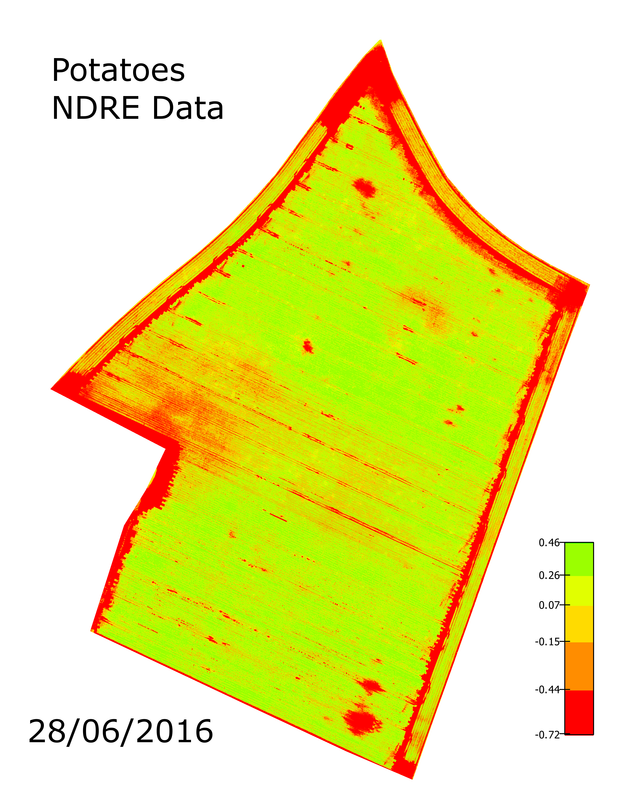 Localizing and quantifying hotspot areas in fields, orchards and vineyards is now made possible with a variety of indices that can be created using specialist software. Using the latest multi-spectral sensor, images acquired by UAV are converted to index maps such as NDVIs and NDRE. Variable application maps are created for Ag software or tractor display. This new technology generates up-to-date information and allows for continuous monitoring and well-structured decision making for any type of plant. 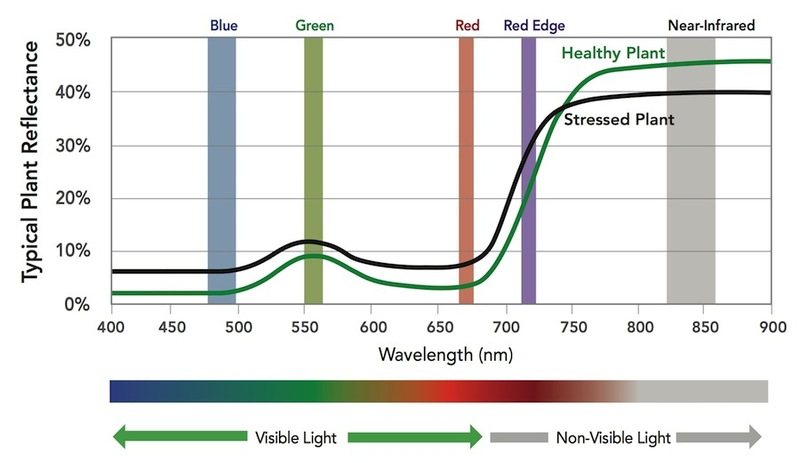 Healthy plants reflect green and near infrared strongly and from these wavelengths index maps are produced. These will give an indication of chlorophyll activity, and is also correlated to plant biomass, leaf area and plant stress symptoms. 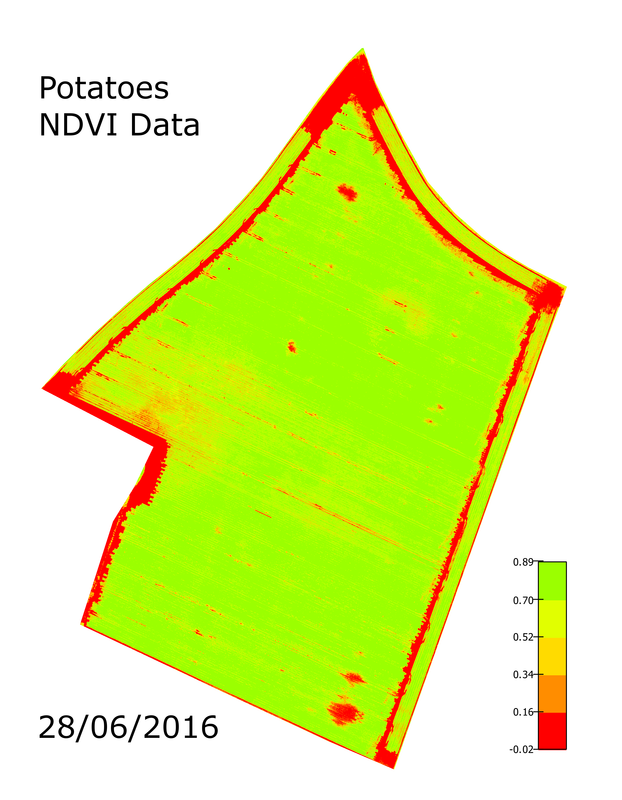 Below: NDVI data captured in March, April and May. Red areas indicate little or no plants. where different levels of fertiliser can be applied.